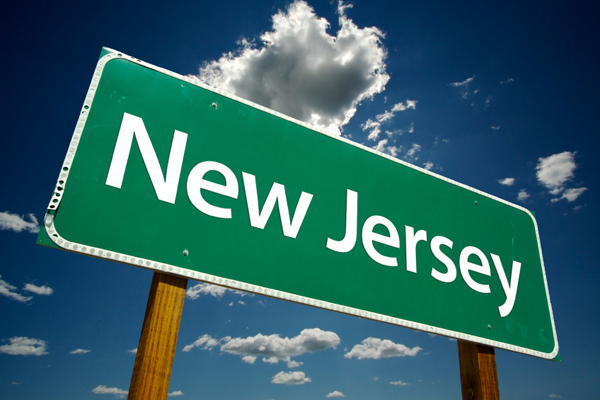 From Princeton to Atlantic City, from Cape May to Morris County, our moving services span the whole of New Jersey. We are very proud to have been serving communities, businesses and families in New Jersey for decades. New Jersey has come to regard American Movers as the premiere moving company in the state. Residential and commercial clients moving within New Jersey can take advantage of our full moving services and enjoy a stress-free, successful move. Call us now to get the ball rolling on your upcoming move! We bring you equipment of the highest caliber, expertly trained, friendly, and communicative movers, and a support network like non other. With our affiliate and agent network that spans the entirety of the state, we can coordinate a smooth and enjoyable New Jersey move for you. We also offer you numerous services beyond moving, such as storage, junk removal, installation services and much more. We operate using fresh, clean and spacious moving trucks and secure, climate controlled storage facilities. For decades now, homeowners and business owners in New Jersey have depended on American Movers for all their moving and storage needs. Thousands of folks who have moved within New Jersey with us can testify to the promptness, professionalism and value of our relocation services. We pour all our hard work and attention into each move that we conduct, ensuring at every step of the way that every detail is executed as planned. Our meticulous attention to detail means that we ensure that virtually no mishaps occur and no damage befalls on any of your property. And not only do we care deeply about your belongings, but we also care about you, your family, your co workers and your neighbors. We go the extra mile when moving families with kids or seniors for example, ensuring that everyone feels comfortable throughout the moving process. We’re also highly courteous to your neighbors, ensuring that no one is ever disturbed. Why Us for Your New Jersey Move? Choosing an optimal moving company for your New Jersey move is key. What with so much planning to do, work to juggle and loved ones to take care of, it’s nice to know you can hire a moving company you can depend on. We’re here for you no matter what you may need, and we will do all that is possible to grant you a smooth relocation. We’re local to New Jersey, and we know New Jersey roads, landmarks, point of interest and more like it’s our own backyard! Entrust your move within New Jersey to the experts who know the area. Moving people is our forte, so to speak. We are knowledgeable and skilled when it comes to every aspect of your commercial or residential move. We don’t compromise on quality when it comes to our services, and the same goes for our equipment. We use the safest and most reliable equipment to crate, transfer, store and deliver your belongings. With us, you need not compromise on value for price, or vise versa. We deliver you top notch services that can be tailor fitted to meet your budget and schedule.